Model 1000 is a fatigue rated load cell with 300% overload protection, extremely low moment sensitivity of 0.1%/in and a higher fatigue life than competitive stainless steel load cells. 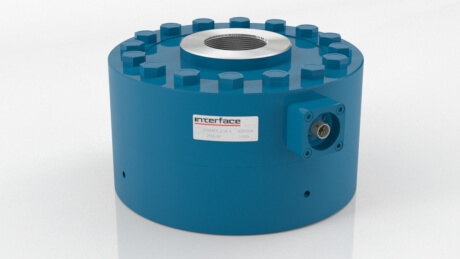 If you need to measure 1lb (4.45N) or 1 million pounds of force (4500kN), Interface load cells can do it. With many variants and configurations our fatigue-rated load cells provide up to 100 million fully rendered cycles. The gaged sensors in every load cell are individually inspected and tested, and certified to meet our rigid standards. Options Available for 2nd and 3rd Bridge. Models 1040, 1044, 1052, 1060, 1080, and 1090 are available.